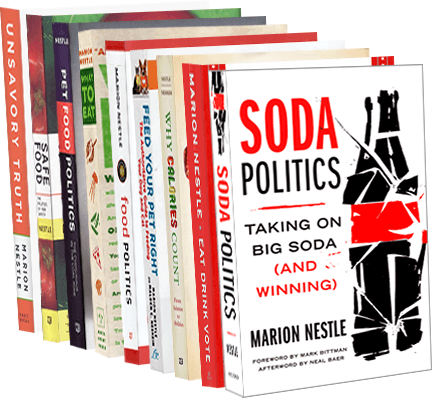 Food Politics by Marion Nestle » The latest food safety measure: vaccinate cows? The latest food safety measure: vaccinate cows? What is to be done about E. coli O157:H7? In the last two years, the USDA reports an astonishing 52 recalls of meat contaminated with these toxic bacteria compared to only 20 in the three years before that. Apparently, the cattle and beef packing industries are unwilling or unable to produce safe meat, even though they could be doing much, much more to reduce bacterial infections: follow a decent HACCP plan and test-and-hold, for example. The alternatives? Late-stage techno fixes. First, we had irradiation. Now we have vaccination! Or so said the New York Times last week in a front-page story on two new anti-E. coli vaccines, one actually in use and one still under study. The vaccines have been in development for a long time but were held up because they aren’t as effective as one would like, to say the least. They are said to reduce the number of animals carrying toxic E. coli by 65% to 75%. That should help, but will it solve the problem? Doesn’t this argue for more efforts on prevention? Or am I missing something here too? FDA’s new pet health & safety widget!